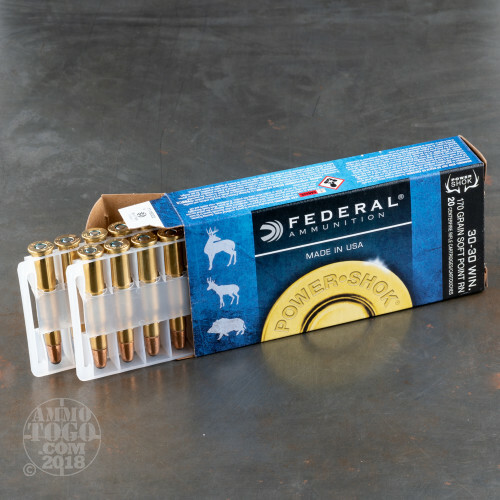 If you hunt with a 30-30 lever-action rifle, you'll appreciate the hard-hitting performance and reasonable price of this hunting load from Federal's Power-Shok series. These cartridges come in a case of 200 and fire a heavy 170 grain soft point bullet that is designed to expand and take down deer and other game without damaging too much edible meat. 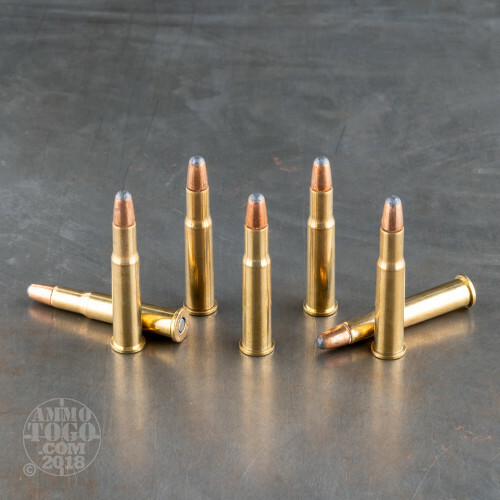 This ammo is loaded in Anoka, Minnesota and uses non-corrosive primers and brass cases. 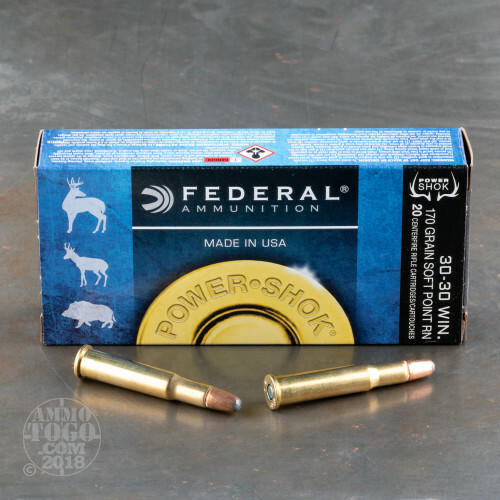 Federal Premium Ammunition is a division of Vista Outdoor, one of the top groups of shooting sports brands in the country. 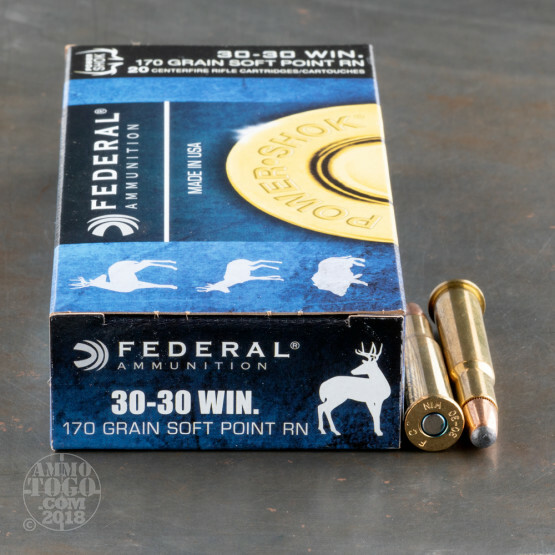 Good ammo, accurate, and great for hunting deer.